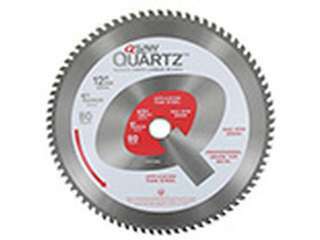 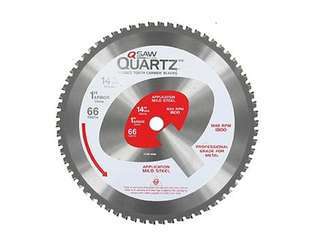 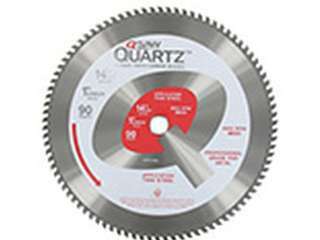 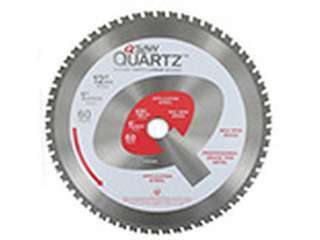 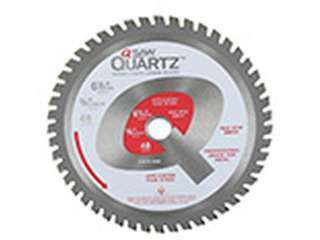 -QSaw offers a wide range of blades for many different applications. 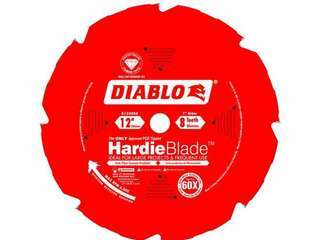 Diablo HardieBlade™ is the only approved PCD (PolyCrystalline Diamond) tipped fiber cement blade recommended by James Hardie Building Products. 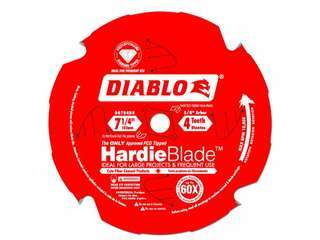 Diablo's co-branded Diablo blade generates up to 5% less respirable dust, while delivering the longest life in all fiber cement materials. The PCD triple chip design offers up to 60-times longer cutting life than standard carbide blades. 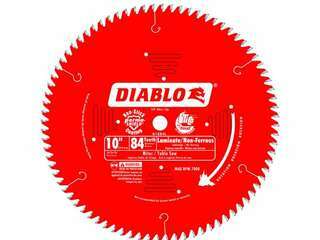 The laser cut thin kerf design gives fast and precise cuts with less dust and waste. The anti-vibration design stabilizes the blade and reduces noise while cutting and Non-Stick Perma-Shield coating to reduce heat. 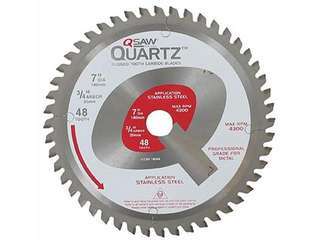 Dimensions: 7-1/4 inch x 4-tooth PCD triple chip tooth with 5/8-inch diamond twist out arbor. A "must-have" tool for both professionals and DIYers planning composite decking projects. 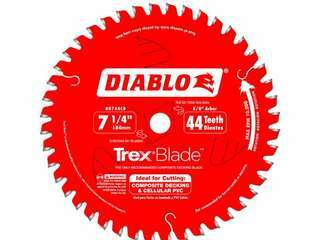 Diablo's blade is ideal for on-the-job cutting of nonferrous metal such as copper pipe, aluminum extrusions, brass plate, etc. Diablo HardieBlade is the only approved PCD (PolyCrystalline Diamond) tipped fiber cement blade. 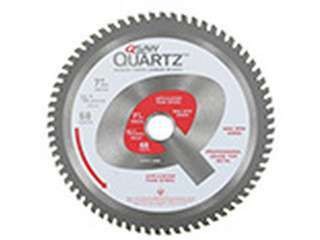 These blades generate up to 50% less respirable dust while delivering the longest life in all fiber cement materials. 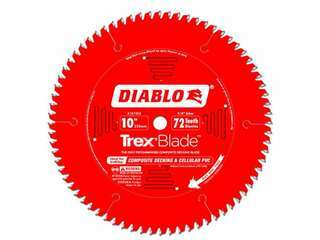 Diablo PCD HardieBlades feature a unique spark-eroded Triple Chip grind for long life. Anti-vibration design stabilizes the blade and reduces noise while cutting and Non-Stick Perma-Shield coating to reduce heat. 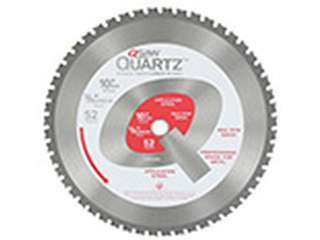 Ideal for all fiber cement products.